A detail laden aspect of wedding planning is the phase in which you must choose and produce your invitation cards. It requires a great deal of diligence, organization, and patience. This may be a challenge, but the wonderful city of Los Angeles will provide you all the tools you need to get the task done including professional stationers, calligraphers, and print shops as far as they eye can see! 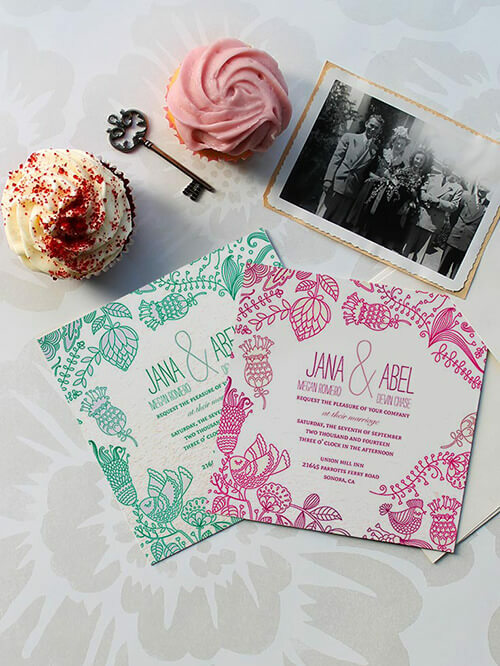 We will provide you with a guide to help you with the process of selecting, producing, and shipping the perfect invitations to your prospective guests. It should benefit you to research the common styles of wedding cards, and see which ones that suit the bill. We suggest procuring a mental image of the theme and styles of your venues, and the general theme of your wedding so you can attempt to correlate those styles into the aesthetic appearance of your wedding cards. 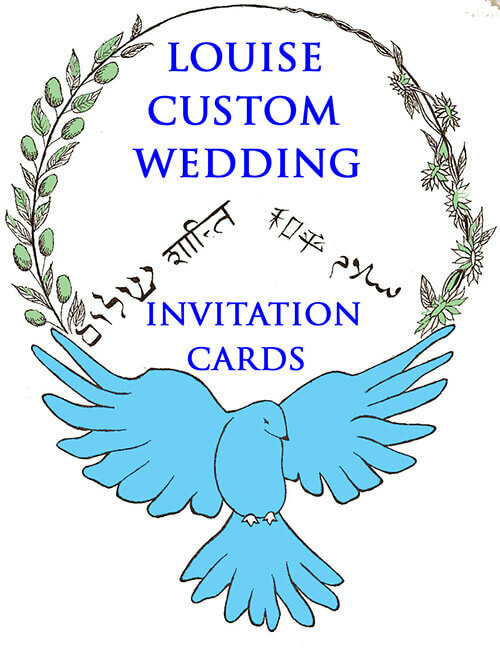 You are going to discover that wedding cards come in all sorts of styles, shapes, colors, and envelopes, but in general, they are rectangular in shape, and measure around four and a half inches by six and a quarter inches. The cost of producing and shipping the cards will fluctuate in relation to the size and shape of the cards. The dimensions and aesthetic of the card are just two factors to consider, the most important factor is what you actually put on the cards. It is important to not crowd the card with nonessential information, the emphasis must be put on core components such as RSVP information, date and time of the wedding, location, dress code, and your names. One thing that will help this is picking the right typeface or font for the cards. Remember, it is a good idea to correlate the general style of the wedding into this aspect as well, and try to match the elegance of your wedding with a font that matches. If you need help in this regard, there are invitation card wording guides online, and you can always consult a professional calligrapher or stationer. You can alternatively download the Adobe Creative suite, and familiarize yourself with it, thus creating your own unique cards by hand. Once you are able to obtain a copy of the proofs, we suggest you have a close friend or colleague with a firm attentiveness to detail and grammar give it a proofread for errors or suggestions. Before you place your master order, be sure all the information is correct, and be even more certain that the costs of producing and shipping will not bankrupt this aspect of the budget. Always order extra cards in case of an error. We suggest getting a firm count of individual guess as well as guests living in the same address so you do not send unnecessary extra cards to the same household. It is always wise to double check all the details, especially the postage and address, you really do not have the time to have the cards sent back to you for corrections. If you have done your due diligence, ship the cards out, and carry on to the next stage of planning. We can just hope that your guests return those RSVP's as diligently as you sent them out!